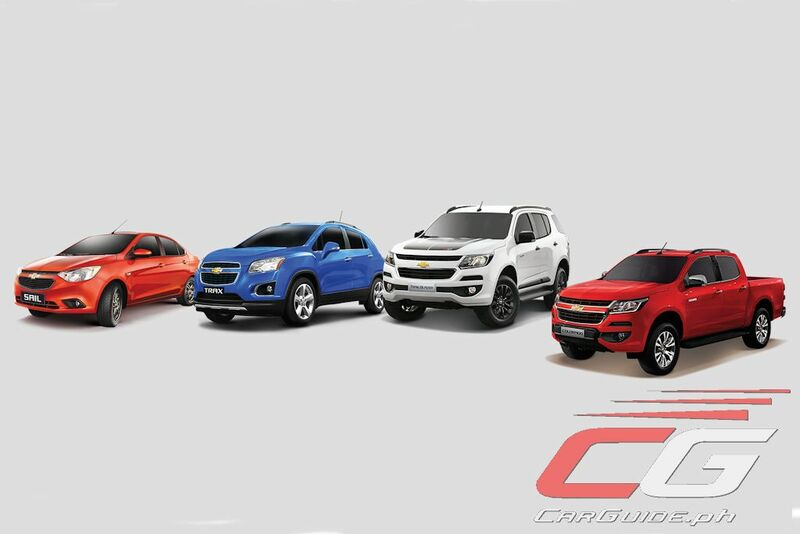 This Father’s Day season, Chevrolet Philippines treats dads and their families with special freebies and an all-in low down payment on select vehicles through its Father’s Day Blowout Treats Promo. The 2017 Chevrolet Trailblazer midsize SUV is for dads who love to bring their family on weekend out-of-town trips. The vehicle is available for as low as P 88,000 all-in low down payment. Meanwhile, perfect for adventurous dads, the tough and capable 2017 Chevrolet Colorado pick up truck is available for as low as P 108,000 all-in low down payment. To top it all off, every purchase of the Chevrolet Trailblazer 4x2 LT AT or Colorado 4x2 LT AT comes with a free mountain bike or Philippine Airlines gift certificate or hotel overnight accommodation or one (1) year hotel membership. Any of the said free items may be converted to a P 15,000 cash discount on the vehicles. For the dapper first-time dads, the stylish and efficient Chevrolet Sail is your perfect companion when driving around the city or out-of-town with the family. The Chevrolet Sail LT AT is available for P 38,000 all-in low down payment, while the LTZ AT variant, that comes with a sleek 9-inch infotainment system and sunroof, is available for P 68,000 all-in low down payment. New Chevrolet Sail LT AT and LTZ AT owners are entitled to a free Vikings or Sambokojin gift certificate worth P 5,000.00. A perfect complement for the smart and modern dad, the 2016 Chevrolet Trax LS AT is available for P 68,000 all-in low down payment, while the LT AT variant is available for P 78,000 all-in low down payment. New 2016 Chevrolet Trax LS AT and LT AT owners are given a free hotel overnight accommodation or one (1) year hotel membership. Any of the free items may be converted to a P 10,000 cash discount on the Chevrolet Trax.